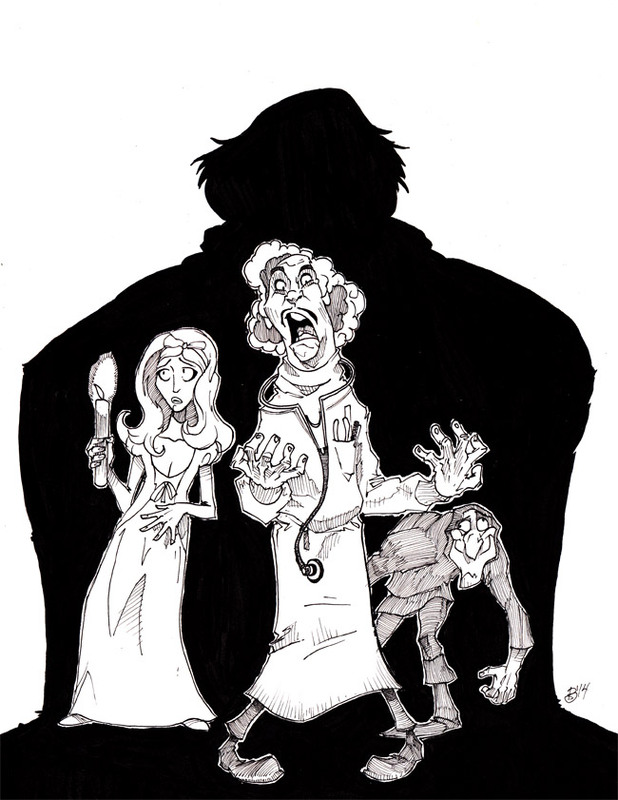 Inktober Day 8: "Young Frankenstein"
I could quote the classic Mel Brooks film Young Frankenstein all day and night: "Put the candle back!" "Taffeta, darling!" "My grandfather's work was doo-doo!" And, my favorite: "Sedagive?!" But instead, I'll let Kyle's Inktober drawing speak for itself.